Lytec® 2015 will help you spend less time on administrative tasks and more time focusing on your patients. 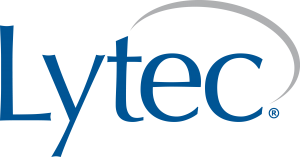 Lytec’s new Patient Intake Mobile application for iPad® and AndroidTM automates the entire information-gathering process — giving you the ability to save valuable time and money. Simply hand your patients the mobile device, and through the Lytec Mobile application they can enter their new information and edit already-existing information in Lytec. The patient’s information will flow directly into Lytec for you to validate and apply to their account. Lytec’s Patient Intake Mobile application can significantly reduce the amount of time spent copying patient information from intake forms into your software. With your front office staff focusing on more productive tasks, you have the ability to save thousands of dollars by increasing efficiency. Lytec v2015 is Now Available and includes the new Mobile Patient Intake application that saves staff time and eliminates duplicate data entry. Call us today – 800-444-4570 – to learn more, or complete the response form on the right side of this page. Lytec® is a trademark of McKesson Corporation and/or one of its subsidiaries. iPad® is a trademark of Apple Inc., registered in the U.S. and other countries. AndroidTM is a trademark of Google Inc.